I love it!! It is huge, finishing at about 90 x 96. I really want to back it in a lightweight denim and use it as a picnic quilt. But.....that meant I needed another leader/ender project. For those of you unfamiliar with the concept of leaders/enders, I'll try to explain. When you sew, and you come to the end of what you're working on, you have to stop the sewing, pull the project out, and cut the threads. When you use a leader/ender, you keep a stack of fabric next to the machine. 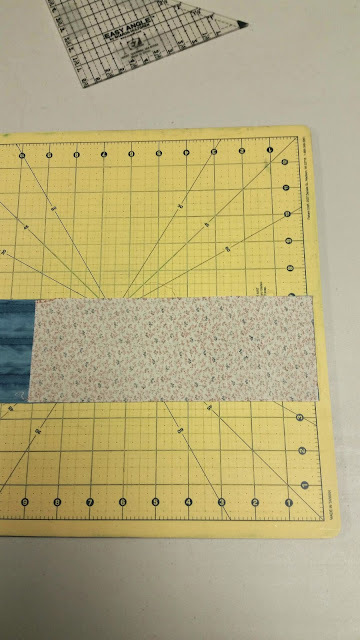 When you come to the end of what you are sewing, instead of pulling the project out and cutting the threads, you follow through your project with a couple of the pieces you've kept next to the machine to "end" the chain piecing, leaving the "ender" under the needle, then trim the threads between the main project and the "ender." The "ender" becomes the "leader" when you come back to the machine to start working on your project again. 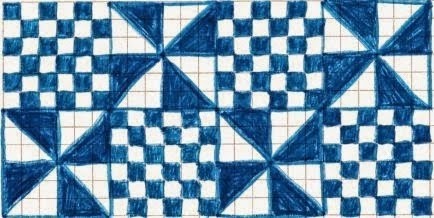 This is a slow process, however, after some time, you've got a "free" quilt made completely out of your leader/enders. I'm really enjoying this process for my leaders/enders. I'm laying out one set at a time and making quite a bit of progress so far. The pinwheels block is cut using the EZ Quilting Easy Angle Ruler Sharon Hultgren 6.5 Inch . I love this tool because it's easy to know what size strip to start with. I needed my HST's to be 3-1/2" so I know I start with 3-1/2" strips. For those of you unfamiliar with this tool, I thought I'd share a quick picture tutorial. 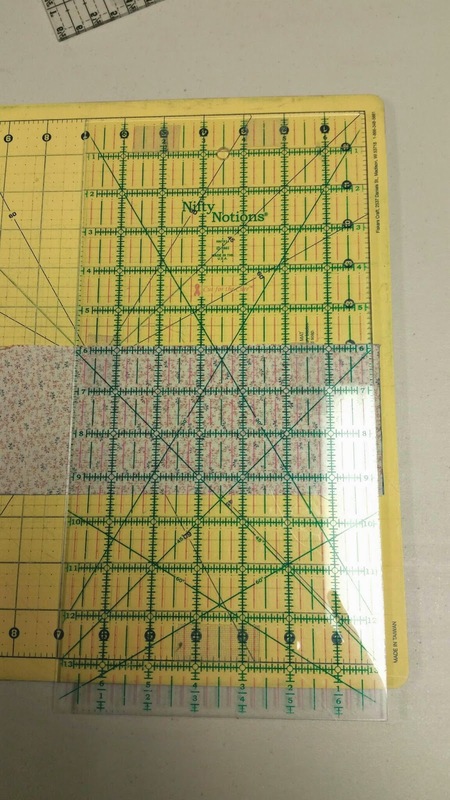 First, you take your two strips (in my case a neutral and a blue) and place them on your cutting mat, right sides together. Next, you take your easy angle ruler and line up the edge of the fabric with the marking on the ruler for the size of strip/HST's you're using, in this case, 3-1/2". 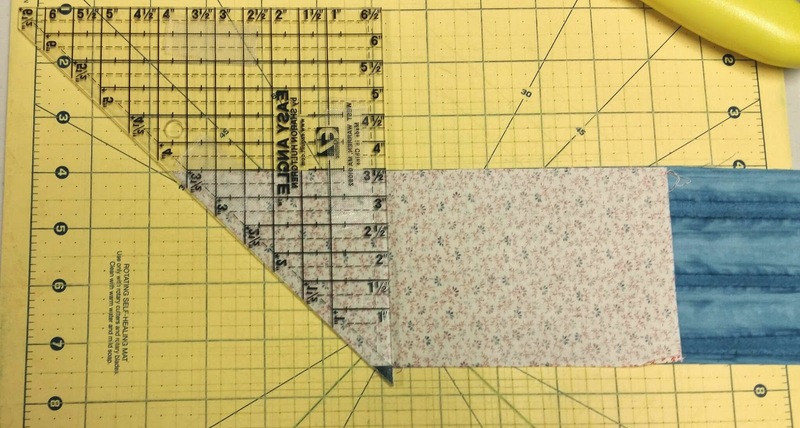 Then you cut along the edge of the ruler. As you can see, the tail is already cut off so there is no fabric waste. Then you flip the ruler over, and line it up again. 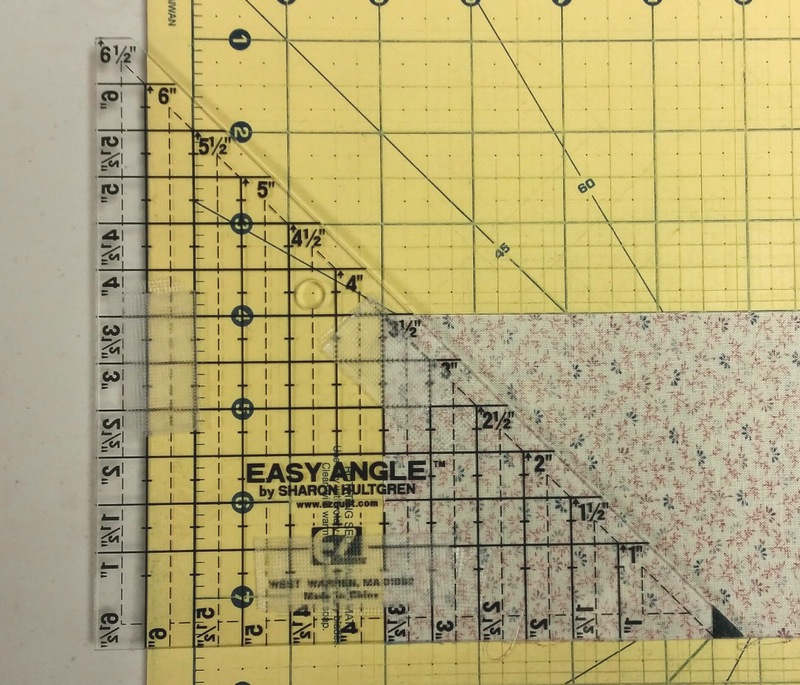 As you can see, we are still using the 3-1/2" line, but at the bottom, we're lining up the edge of the black triangle with the bottom edge of the fabric. Then we cut again. 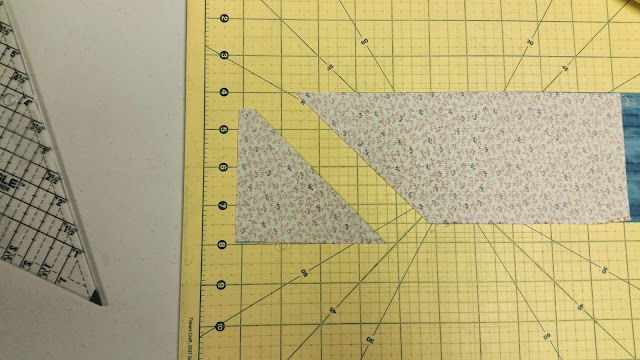 It's a very simple tool to use and makes working with scraps so easy. Now you may have noticed that I called this post a leader/ender challenge. So let's get to the challenge part. I would love to get more people taking advantage of leaders/enders. I think they are such a great tool and a fun way to use up scraps. So I'm thinking that a monthly linky party would be fun. We'll start next Tuesday and do the third Tuesday of the month. If you don't have a current leader/ender, you are welcome to use the same one I'm doing. So grab a button and play along! It will be so much fun to see what everyone else is working on!! 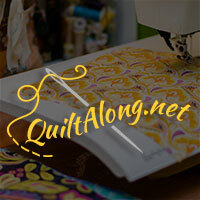 Linking up with She Can Quilt. I've been doing a leader/ender project, but I learned about it under the name of "bonus quilt". I am using the pattern "County Fair" by A Quilting Life Designs. 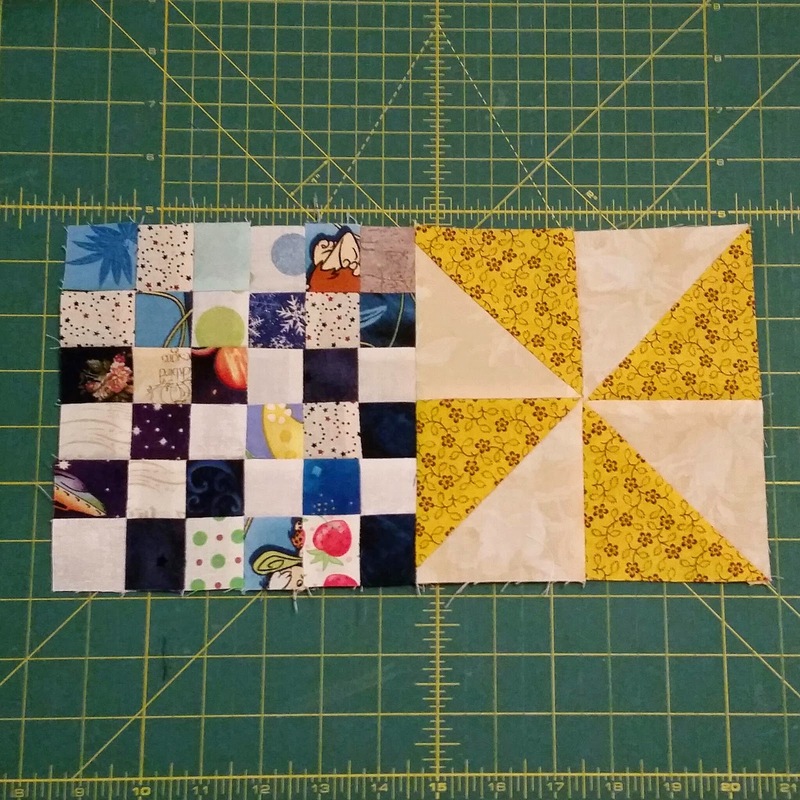 It uses 2.5" squares, which is perfect for using up scraps! 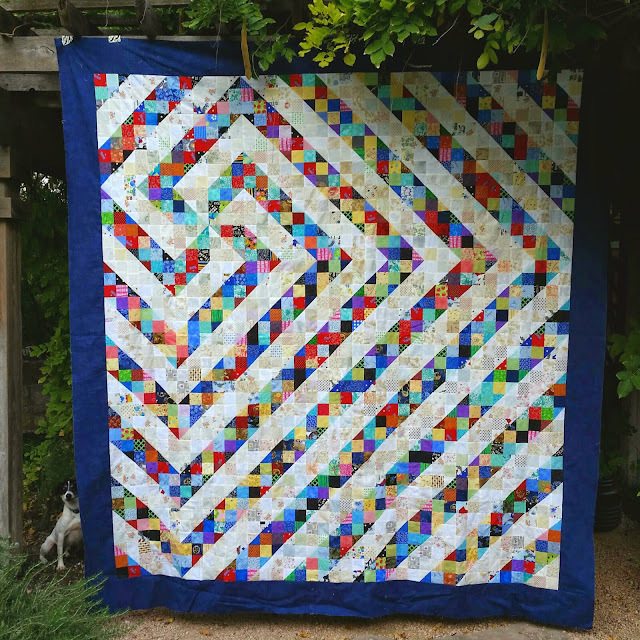 This is stunning, especially as a free quilt! I guess you have to be pretty organised to make a leader/ender quilt, sometimes I remember but lose commitment to it! love the quilt and have great admiration for your organisation! Will have to think about joining in! Your quilt is stunning! I love your new project too. I am not sure I am disciplined enough for leaders and enders, I have tried before but either I end up just making that project or I don't have enough bits cut. Maybe it's time to try again.